Nelson Search and Rescue members took Nelson Sea Cadets to Hummingbird Pass recently. Nelson Search and Rescue members took Nelson Sea Cadets to Hummingbird Pass recently to train kids on how to orient themselves in the mountains, build basic shelters in the snow, start a fire with a minimum of supplies, stay warm, and stay together as a group in the backcountry. 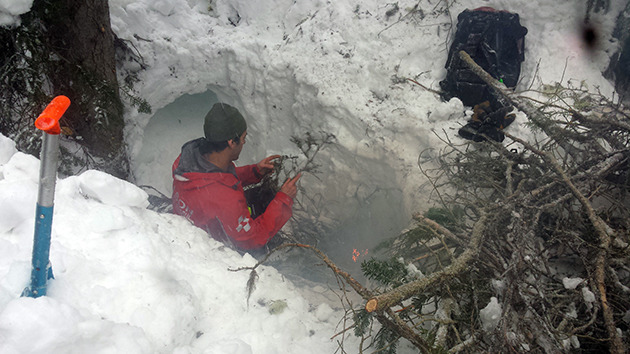 Below, Denis Lavoie explains to kids how to build a proper shelter and start the fire. Initially kids and adults tried doing it on their own, giving them a good taste of how hard it is.